Chris O’Hare ran an assured and confident race, while Lynsey Sharp had a dramatic wait before her final spot was confirmed following a disqualification, on a night of competitive semi-finals at the World Championships in London. Following the heat’s on Thursday night, the 1500m men got back on the track for the semi-finals in the London Stadium. 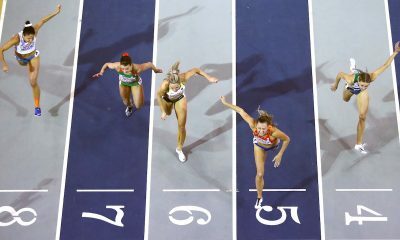 With twelve making it through to the final, only 0.63 seconds separated the first and seventh from the two semi-finals, setting up the prospect of another close middle-distance final on Sunday evening. Current world silver medalist Elijah Manangoi of Kenya took the first of two races in 3:40.10. 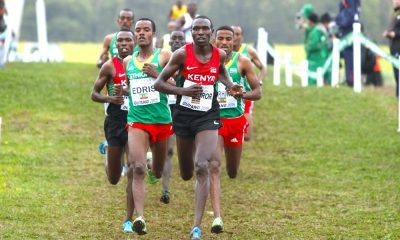 Close behind was reigning champion Asbel Kiprop in 3:40.14, and such was Kiprop’s confidence in his speed over the home straight, he could afford to sit at the back of the field for most of the race. Britian’s Oslo Diamond League winner Jake Wightman, struggled to get out of a messy pack in the middle of the field. With 800m to go, Wightman was well placed, but just overcooked it going into a fast 52-second last lap, crossing the line in 3:41.79 for 8th. Czech Republic’s Jakub Holusa showed no ill-effects from Thursday’s earlier round, taking almost four seconds off his heat time, clocking 3:38.05 with a 10m sprint for victory in the second semi-final, the fastest time on the night. Close behind was Keyna’s Timothy Cheruiyot, while Britain’s Chris O’Hare ran an impressive and confident race for a solid fourth place, almost switching off the burners as he coasted over the line in 3:38.59. 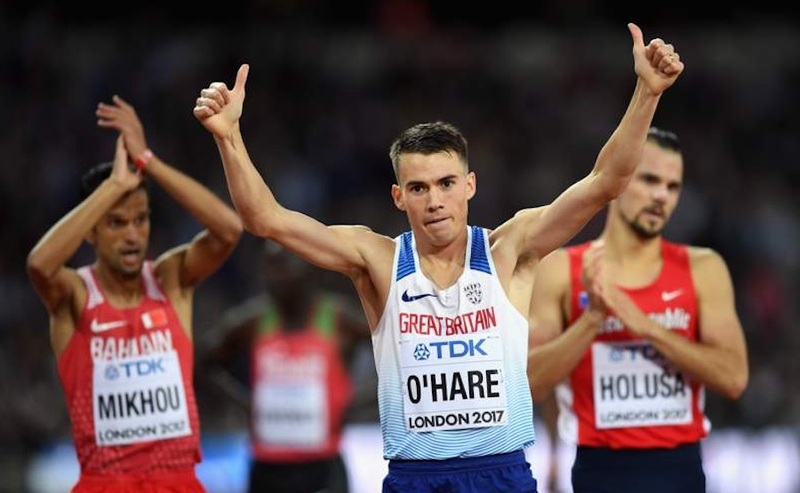 O’Hare, who will line out in his second world outdoor final on Sunday, said: “A bit of a weird race. I knew that if I could be in the top five at the bell, I would be fine. “It didn’t feel great to be honest but I have a whole day off and will relax and recover and get ready for Sunday. 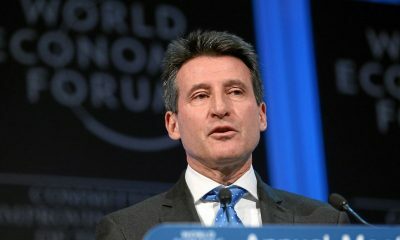 800m Olympic champion Caster Semenya, US record-holder Ajee Wilson and Burundi’s Francine Niyonsaba, the Olympic silver medallist, all won their semi-finals and looked strong, while 2015 world silver medalist Melissa Bishop advanced, finishing second in the first race. In the women’s 800m semi-finals, Lynsey Sharp was the sole British athlete to advance to Sunday’s final. The 27-year-old finished fourth in the second semi-final in 1:59.47, clinching a fastest loser spot. In a dramatic set of events, Sharp was initially disqualified for a questionable obstruction offence on Charlene Lipsey, as they approached the finish line. Both athlete’s arms interlocked, with replays showing Sharp’s eyes were closed at the time, dispelling any notion that Sharp intended to do it. But, following a successful appeal, the British athlete was reinstated for Sunday’s 800m final. In the first semi-final, Britain’s Adelle Tracey ran a strong race finishing 6th in 2:00.26. A personal best for the 24-year-old, but not quite enough to advance further. GB team-mate Shelayna Oskan-Clarke was also unsuccessful in her efforts for a place in the 800m final. Running in a strong third semi-field, that featured the Rio Olympic silver and bronze medalists, Oskan-Clarke finished 6th in 2:02.26. It was a shock US one-two in the women’s 3000m steeplechase final. USA’s Emma Coburn clinched the gold from compatriot Courtney Frerichs, with Kiyeng Jepkemoi of Kenya taking bronze. Coburn won the race with a superb water jump, sprinting to cross the line in 9:02.58, setting an American and a Championship record in the process. 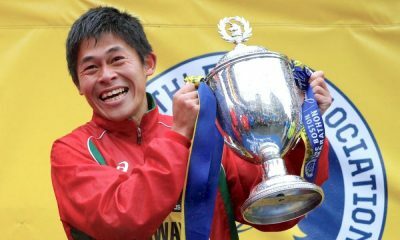 The 26-year-old is the first American to win gold in a global steeplechase championship since 1952. Frerichs’s silver medal time of 9:03.77 was a personal best for the 24-year-old American.